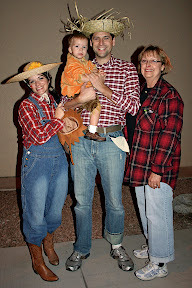 We all went to the trunk or treat at our church for halloween. 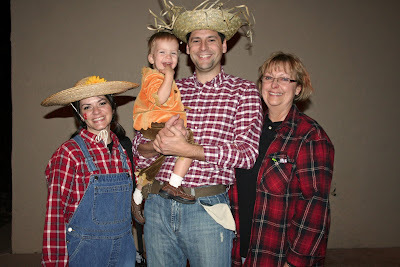 Caleb dressed up as a scarecrow and the rest of us tried to match him. We had a good time going around to all the cars and Caleb kept picking out suckers when he could. 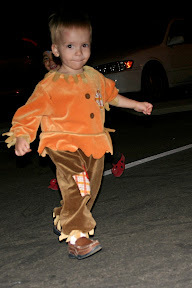 He had a cute little scarecrow hat but of course that didn't stay on for more than half of a second.